Posted on 8th October 2017 in "Times Square"
I made another exception to my vow not to collect any more soundtrack-related items, because this one has a picture of Robin on it. 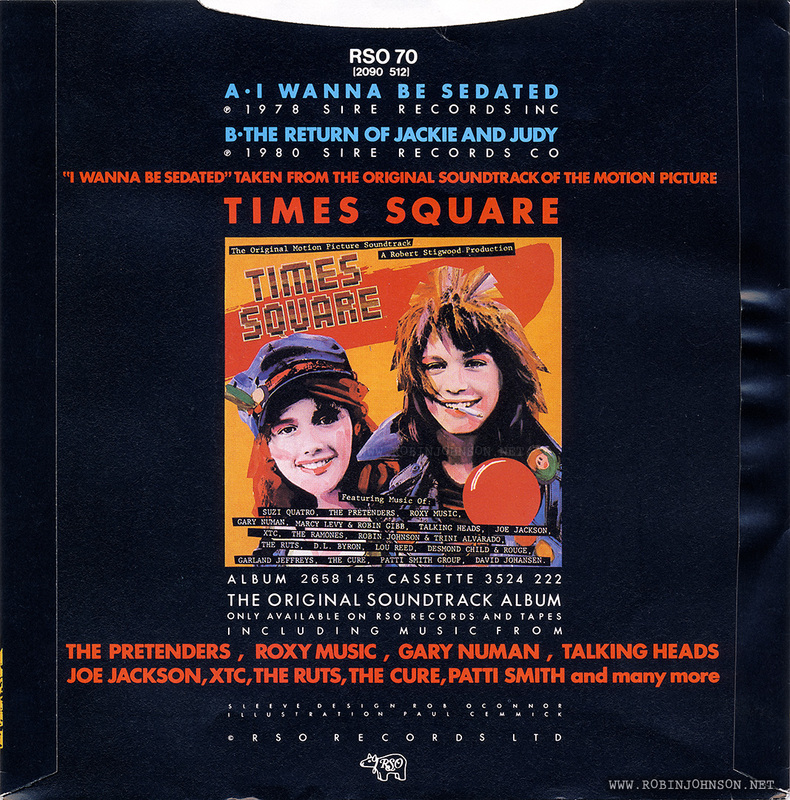 It’s the UK version of the Ramones’ “I Wanna Be Sedated” single as released by RSO as a Times Square soundtrack tie-in. I might have bought it anyway, just for the fantastic illustration on the front of the picture sleeve. 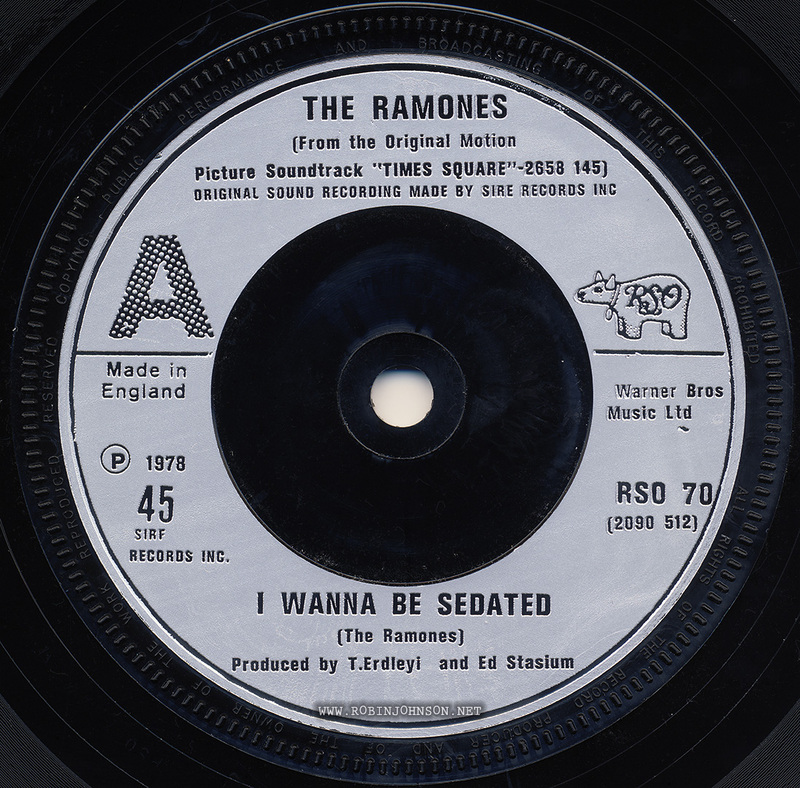 Luckily for me, the back of the sleeve reproduces the soundtrack album cover, so it’s a legitimate Robin Johnson collectible as well as a Ramones collectible. The cover reproduced seems to be, however, a variant I don’t have anywhere else, where Nicky’s lapel button, which usually bears a picture of Johnny LaGuardia, is blank red, but not the featureless red of the Canadian version. This one has a light reflection painted along its upper rim, like the one that appears on the versions with Johnny on it, except no Johnny. It’s like an intermediate version that hasn’t been finished. I still don’t understand why there are so many different variant covers, all centered around what if anything is pinned to Nicky’s lapel. 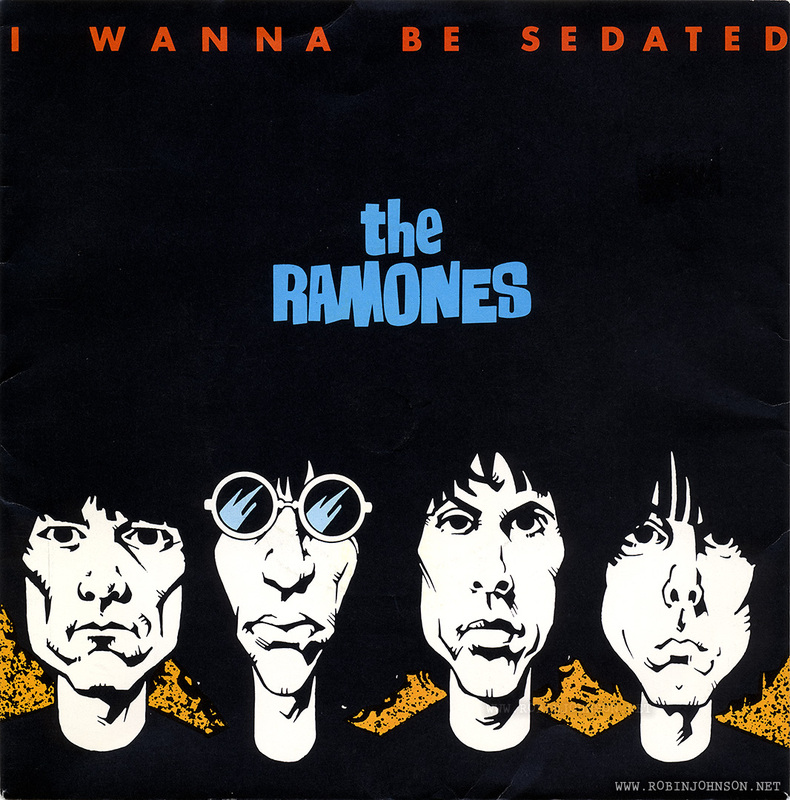 “I Wanna Be Sedated” had been taken from 1978’s Road to Ruin. 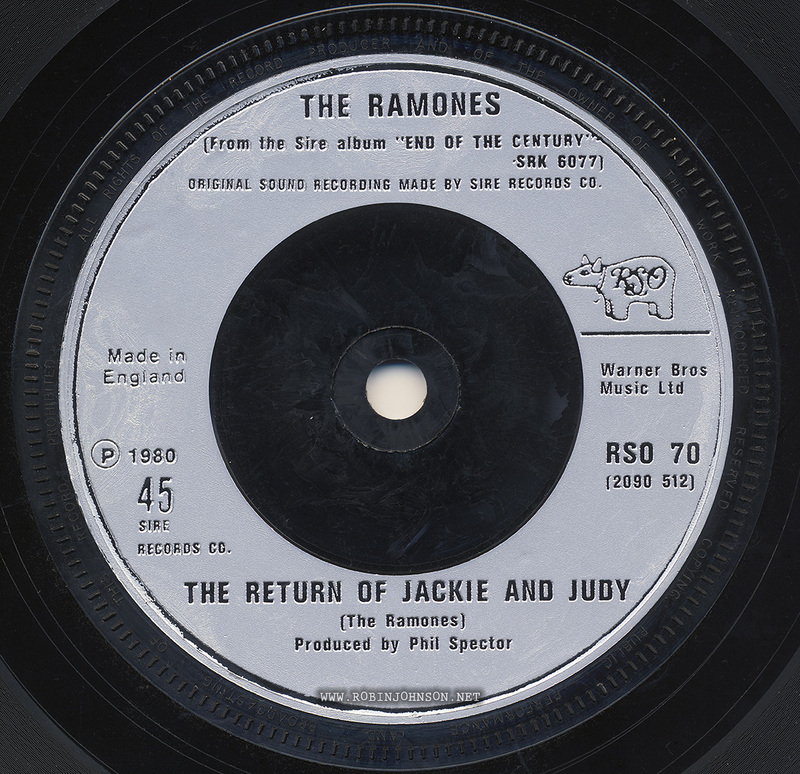 The b-side of the single, “The Return of Jackie and Judy,” was taken from the Ramones’ current album at the time, End of the Century, and wouldn’t have been entirely out of place itself in the movie’s soundtrack. I’ve previously made mention of the Spanish release of this single, of which I have a photo but not the actual item.